A life-long sports and fitness enthusiast, my introduction to yoga came in the form of a few power yoga VHS (yes, VHS) tapes in 1997. That exposure served as a catalyst for creating and sustaining a home practice which remained consistent for the next several years, and throughout two pregnancies. I found myself in my first “real” yoga class in 2004, and completely fell in love with the entire experience. True to form, I dove into a committed practice and completed my first vinyasa teacher training with Asheville Yoga Center two years later. For years, my practice primarily focused on the active, yang qualities of vigorous movement, sweating, and fancy arm balances. Upon tearing my ACL during a tennis match in 2008, the breaks were put on my asana practice, and it was while going through the rehabilitation period when I woke up to the realization that my competitive nature was not keeping me in balance physically or mentally. The intention I set for myself was to find a way to stay the competitive athlete I was, but to balance that drive with a safe and sustainable yoga practice. I credit my yin and meditation practices for being able to run long and play hard with more awareness. Since my knee surgery, I’ve run ten marathons, and look forward to many more. The classes I teach vary in style and are always geared toward the students’ needs. My yang (vinyasa) classes are strong, creative and inspired by Iyengar principles and primal movements, with an emphasis on functional alignment, while my yin classes are physically complementary, and heavily influenced by insight meditation and Buddhist teachings. Yoga Alliance certified at the E-RYT 500 level, I offer open classes, specialty workshops and retreats, and am a lead trainer in the Summers School of Yin Yoga. As a running coach (RRCA), and a personal trainer (NASM), I have a passion for teaching yoga specifically to the athletic population and am fortunate to work with many incredible individual athletes and teams. Forever a student, I continue to further my studies with senior teachers in yoga and meditation. I give immense credit to Nikki Costello, Sage Rountree, Josh Summers and Linda Modero, who have influenced my teaching and practice. I began practicing yoga as a teenager in order to relive the stress and demands of school. What I found on my mat was not only a softening of my tension but a pathway to finding more joy in each moment. Yoga has transcended being just a physical practice for me but instead a way of life. The power yoga has to heal both the body and the heart guided me to becoming a teacher. I began teaching after completing my 200-hr training at Kripalu Center for Yoga and Health in Lenox, MA in 2009. I am currently pursuing my 500-hr certification at Kripalu. I seek to give my students a transformational experience. Integrating both the physical and energetic tools of yoga to guide a challenging practice for all levels. I aim to create an inviting environment for both new and seasoned practioners. Holding a space to allow students to soften around the physical intensity of the practice in order to find sweetness and lightness in their bodies. My style integrates breath centered movement, precise alignment and the mind-body connection. Stephen Kirsch fell in love with yoga several years ago when he was looking for a way to balance an active running and biking lifestyle, and working on his feet, with a complementary practice. For him, yoga has become more than just a physical activity – it’s away of being in the world. He is passionate about offering his students a practice that encourages them to listen and be present, that challenges them physically but offers them softness and release. His classes are based on linking breath with movement, and combining thoughtful sequencing with intentional alignment. Stephen completed his RYT-200 hour training in Boston through the Boston Yoga School and now calls Midcoast Maine home. He loves to read, spend time in the outdoors, and hang out with this dogs. 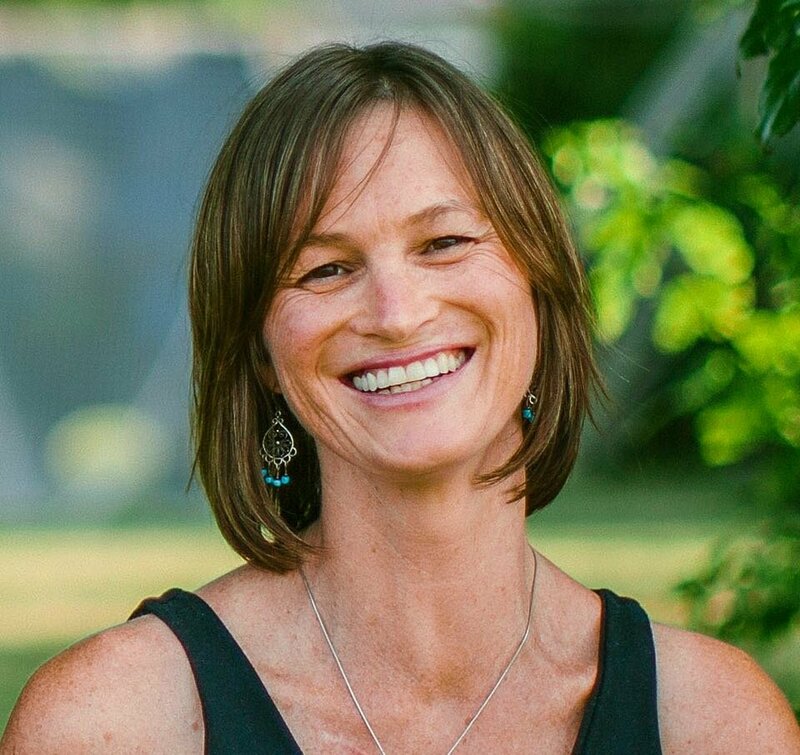 Jamie has completed two Yoga Alliance teacher trainings, and is a certified and practicing Yoga Health Coach, certified through the Worldwide Association of Yoga Health Coaches. 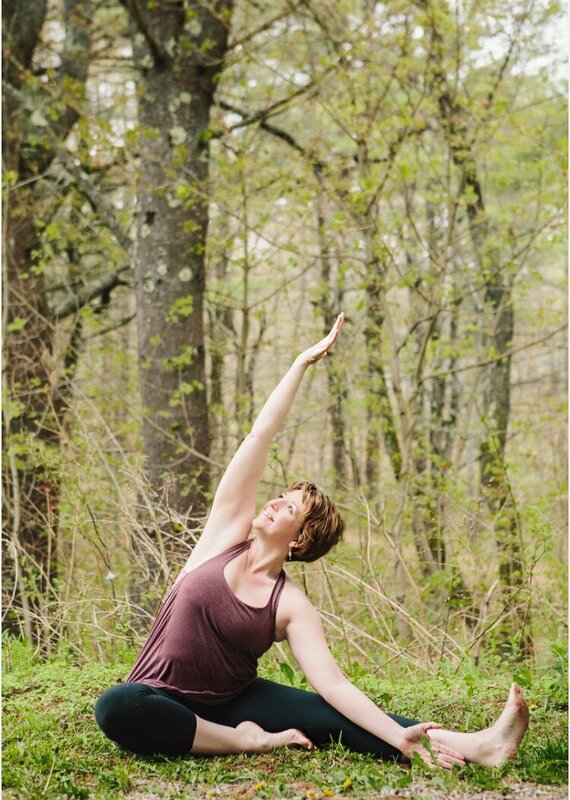 She has been studying and practicing asana since 2006 and teaching regularly in Southern Maine since 2009. Based on her knowledge of yoga and Ayurveda she offers courses that expand overall wellness, joy and helps health conscious people create vibrant health. 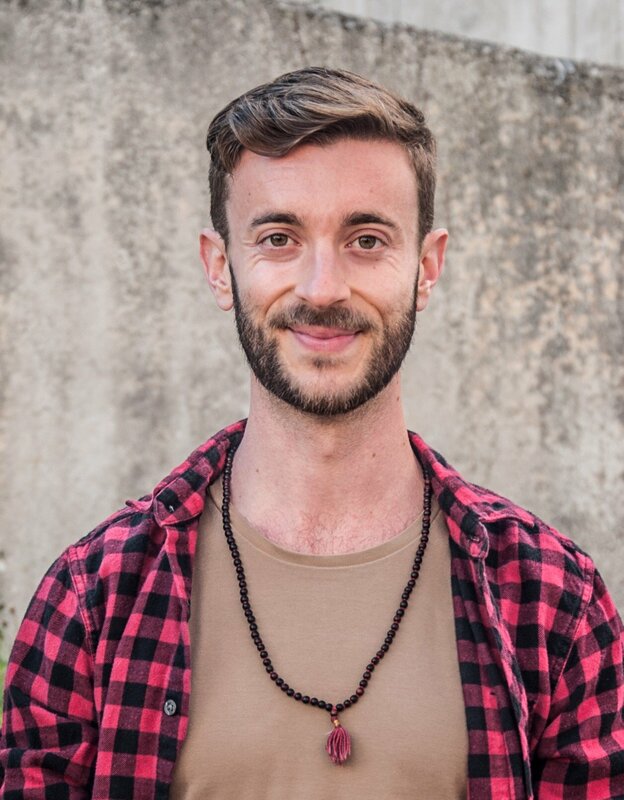 Jamie weaves together yoga philosophy, Ayurveda, anatomy and alignment while connecting the practice on the mat to life off the mat. Her classes are inspiring, challenging and applicable to all domains of life. She continues to be inspired to grow her practice and teachings by ongoing trainings with teachers both locally and nationally. My first yoga teacher was a petite woman with smiling eyes and triceps that could have broken me in two, has she been so inclined. Turns out, she didn’t have to. I was capable of coming apart all on my own, usually in what she called “double pigeon pose”. The power of yoga postures to reveal the subtle underworld of their outwardly physical alignment fascinates me. So does the uniquely human propensity to have a good measure of choice in our lives, but to generally move through them in a state of choiceless awareness. I like that edge where habitual states of being begin to unravel and we step across the threshold of a new perspective. Practicing yoga is one of many good ways to get there. When teaching, I like to work with the complimentary practices of Yin and Yang (or receptive and active) yoga, underscoring mobility with stability, clear seeing with calm abiding. While I did my official yoga teacher training at the Kripalu Center for Yoga and Health, I’ve been fortunate and happy to also study Yin, Iyengar and Astanga yoga over the years. I have worked as a science teacher, naturalist and writer with a special love of biology; they all inform my teaching. Sarah’s yoga journey began in the year 2000 when she took her first class. She immediately felt a connection with the practice, and her passion for the practice blossomed throughout the years to come. As an elementary school teacher, Sarah found yoga to be a central part of her self-care routine. The physical practice challenged her body, while the whole practice breathed balance into her life. Sarah began teaching yoga after completing her 200-hour vinyasa training (based on Ashtanga yoga) in 2010 with Mimi Loureiro at O2 Yoga in Boston. Since then, she has attended workshops and trainings with Beryl Bender Birch, David Swenson, Sue Jones of YogaHOPE, Ame Wren, Kevin Courtney, Josh Summers and others. Sarah also worked to merge her passions of teaching yoga and working with children by becoming a ChildLight Yoga teacher and Yoga 4Classrooms trainer. Off the mat, Sarah currently works as an elementary school literacy specialist. She lives in Portland with her husband in the 1931 house, which they spent three years fixing up while living in it! Sarah completed her 500-hour vinyasa teacher training certification with Boston Yoga School in June 2017. In addition, Sarah will take a 50-hour Yin Yoga training with Josh Summers in February 2018. 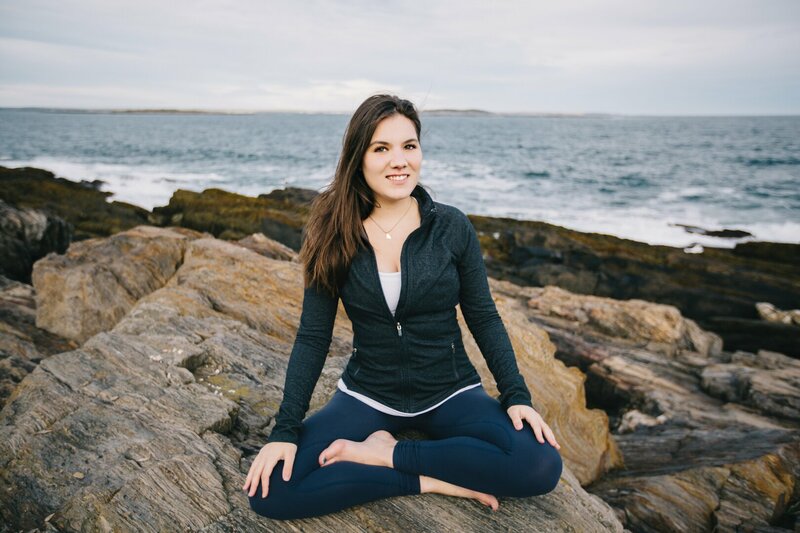 In January 2018, Sarah also launched the “Yoga of Maine” podcast, which can be found on iTunes. 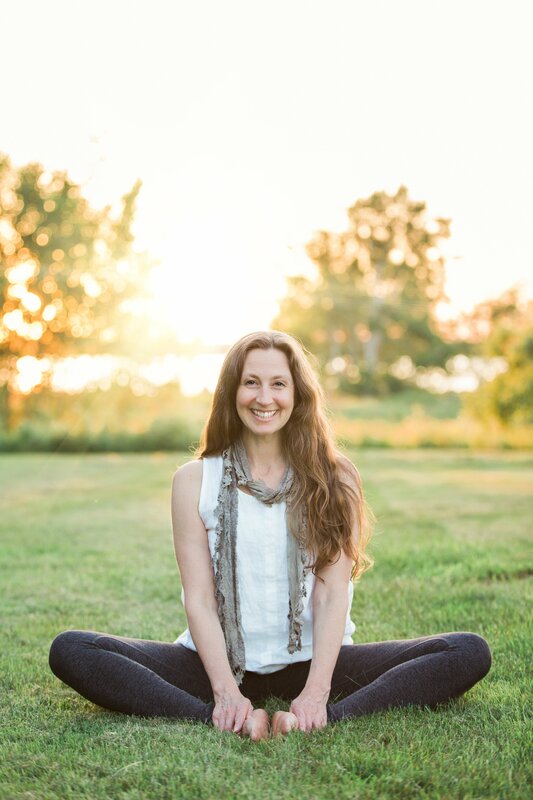 As a yoga teacher, Sarah focuses on creating a space of increased awareness and peaceful energy for her students while offering intentional sequencing and attention to the breath in physical poses. 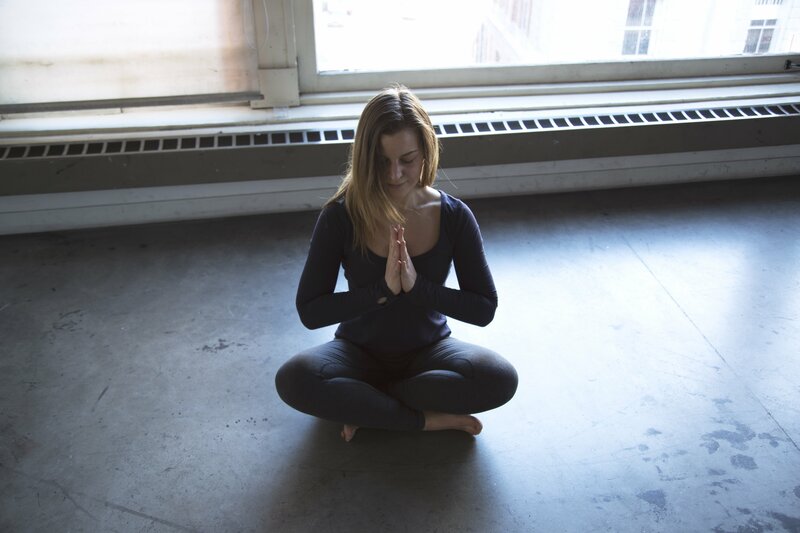 Sarah believes the practice of yoga is one of inquiry and compassion, which is bolstered by the sense of connection found when practicing in a community. For more information about Sarah and the “Yoga of Maine” podcast, please visit Kindfulness Yoga. Valerie found her way to the practice of yoga in high school where the union of movement, breath, and stillness of the mind that yoga provides quickly captivated her. In college, Valerie’s yoga practice became a lifeline as she was trying to navigate her place in the world, which is how she began teaching yoga in 2005. She is registered as a 500-hour yoga teacher (RYT-500) with Yoga Alliance, as she recently completed a 300-hour advanced teacher training at Yoga on the Hill in Kittery, Maine. This advanced teacher training focused on anatomy and physiology, modifying and adapting the practice of yoga for unique populations, and learning the skills of intake, assessment, and intervention to address the needs of all individuals. 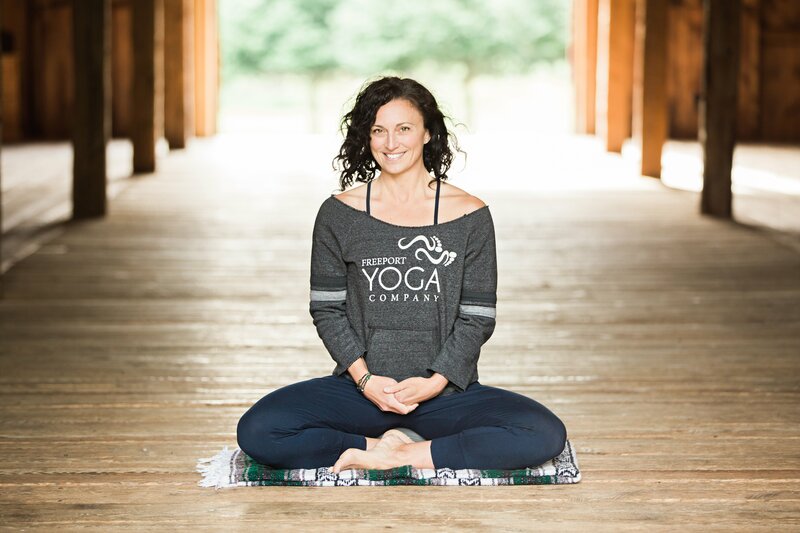 Rather than subscribing to a particular style of yoga, Valerie has drawn inspiration from her education, teaching, travels, other yoga teachers, and the many yoga students she has been blessed to guide and share a practice with to create a unique style of teaching. Valerie also uses her extensive knowledge and education of anatomy and alignment to further inform her instruction. She is passionate about providing a practice suited for everyone that not only soothes the body but also calms the mind. Valerie uses kindness and compassion to meet each person where they are and allow them to feel successful each time they step onto their mat. She has been certified through the American Council on Exercise as a personal trainer since 2008 and works full-time as a middle school wellness teacher, where she teaches health, wellness, and mindfulness to 6th-8th grade students. Mechanical Engineer turned professional clown turned yoga instructor, I am a curious spiritual mongrel, reformed dabbler and world explorer who has found focus and deep purpose in yoga. I have been working actively with enlivening structure and spirit for over 40 years and as a yoga teacher for over 24 years, having done well over 1600 hours of extensive yoga teacher training with the likes of Patricia Walden, Peentz Dubble, Eric Schiffman, Elaine McGillicuddy. I have studied Feldenkrais, Bodynamics, functional anatomy, developmental movement, Thai yoga massage, energy work, meditation, and Yamuna. My insatiable interest in healing propels me to continually train with master teachers and regularly consult with top-notch healing professionals of many disciplines. As a former engineer, I have a unique perspective in assessing how body structures move most effectively. As an improv-performer, I work intuitively with humor and spontaneity and can ‘drop the agenda’ when needed. After getting my engineering degree and spending seven years working for design firms and the semi-conductor industry, I became chronically ill with Epstein-Barr. I was determined to find a way to heal and ultimately decided to move away from technical analysis and towards something that would bring me joy. What started as a three-month bike trip Down Under evolved into a six-year journey of intense self-study. The world became alive and something that had been dead inside me suddenly woke up. I heartily gorged myself on a smorgasbord of multiple artistic and healing modalities: sound healing, qigong, Bhutto –Dance of the Dead, Buddhist and Vedic study,herbal medicine, ritual fire theater with Aborigines, to name a few. While at a LeCoq based theater school in Sydney, I began yoga training and I discovered I had a body! I worked under a woman named —of all things— Pixie. She was a master yoga teacher, an assistant to BKS Iyengar himself. She was present and powerful yet humble and gentle; she understood my body better than I did. Without blame or judgment, but with profound knowledge, and compassion, she helped me see that with extremely subtle movements one can shift from pain to ease. That indelible process changed me forever. Her svanasana is the one I use still to be in the deepest restful state. Our bodies have stories. When we listen to them, we are empowered to make better choices and as a result feel more life in our bones. My own path to healing has inspired me to use my knowledge to help others, to give the love and generosity I have been given to those who come to me. I gravitated to yoga in 2001 after an injury prevented me from doing what I did to clear my head of life’s cobwebs, running. Every day I am grateful for finding yoga, or maybe it was that yoga found me. I completed my first 200 hour training with Julie Gurevich and Heather Sheridan in New Jersey in 2013 and followed up with my yin yoga training with Deb Donally and Crystal Paone in 2014. My desire to learn never stops, so after moving to Maine in the fall of 2015, I pursued my 2nd 200 hour teacher training through the Boston Yoga School codirected by Ame Wren and Terry Cockburn. I have been fortunate to learn from great yoga teachers and continue to be inspired by my teachers and fellow yogis. I am honored and grateful to be a part of the community and teaching team at Freeport Yoga Co. Being present and mindful in our practice on the mat extends out into the world. Namaste. 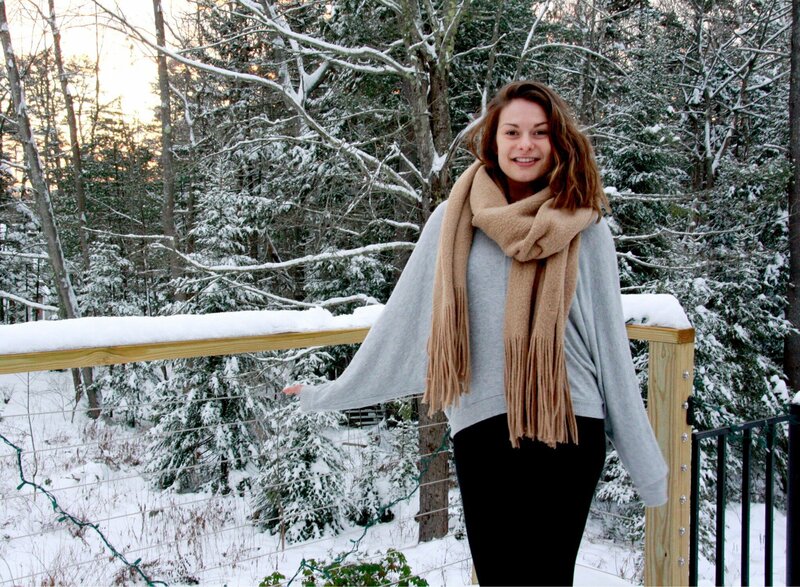 Hailing from NYC, Mae is excited to bring her upbeat, inspired energy to Maine’s flourishing yoga community. Growing up in a family of yogis, Mae feels her life has been inspired by the East in many ways. Mae’s affinity for yoga first began at 6yrs old at an ashram in Woodstock, NY where she picked up an asana book and began copying complex poses to the bewilderment of onlookers. 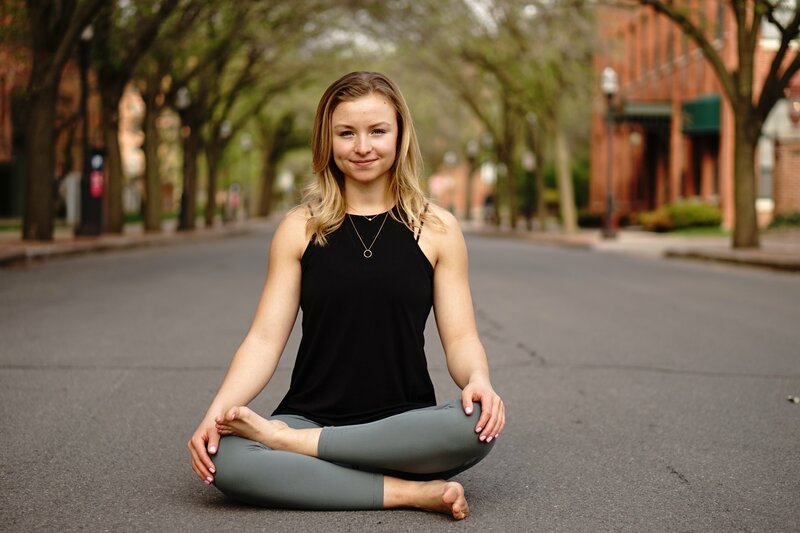 With a growing interest in holistic health and preventative medicine and a keen eye for movement analysis, she decided to take on yoga as a lifestyle and career. Mae completed her 200hr Vinyasa training in 2011 at Atmananda in Manhattan, followed by her 500hr Hatha training in 2014 at an ashram in the South of India. Mae’s class will lead you through controlled breathwork, mindful meditation, and creatively sequenced standing poses, arm balances, backbends, and inversions. Mae’s presence welcomes both novice and advanced practitioners and invites students to express questions or concerns regarding their continued practice. With immense gratitude for her gurus on and off the mat, she looks forward to sharing this ancient practice with her students. My fascination with the the depth and complexity of the human spirit and body stem from a long journey in endurance sports and athletic endeavors. I was introduced to yoga in my teenage years as a method of injury prevention and balance between triathlons and collegiate athletics. As my focus shifted further into academics and a professional career, yoga became my primary method of balancing my need for physical activity, personal exploration, and an outlet for stress relief and peace of mind. Over the years I have been influenced by many wonderful teachers in cities up and down the east coast. My first move out of Maine brought me to Washington, DC and into the prana flow classes of Greg Marzullo. His energy radiated through the room, and his talent for tying in historical context and ancient yoga texts to our classes captivated me. Later in Boston, Ame Wren’s talent for intentional practice gave me the structure I needed to develop my practice in a way that was accessible, yet demanding. Here in Maine, I am surrounded by wonderful teachers in the local community and beyond. As I continue to learn and develop my own practice, my hope as a teacher to to invite students to do the same on and off the mat. Heather Zachau was introduced to yoga at an early age by her mother, Ann, an Iyengar enthusiast in the 1970s. Heather started practicing intermittently in the early 2000s after the loss of her mother and father and the birth of three children. Various joint and muscle injuries slowed down her active life of running and skiing. She discovered a new studio in 2011, Freeport Yoga Company, that changed her yoga life. She now knows that if she had had yoga in her life, and listened to her mother, she would have had better understanding of her body, how it is all interconnected and possibly would have avoided long term injury. She wants to take the knowledge that she has learned personally to students, both young and old, to insure that they understand the interconnectedness of mind, body and soul. She completed her 200 hour yoga certification with the exceptional duo: Ame Wren and Terry Cockburn, through Boston Yoga School, focusing on the yoga history, philosophy and anatomy of the the body. 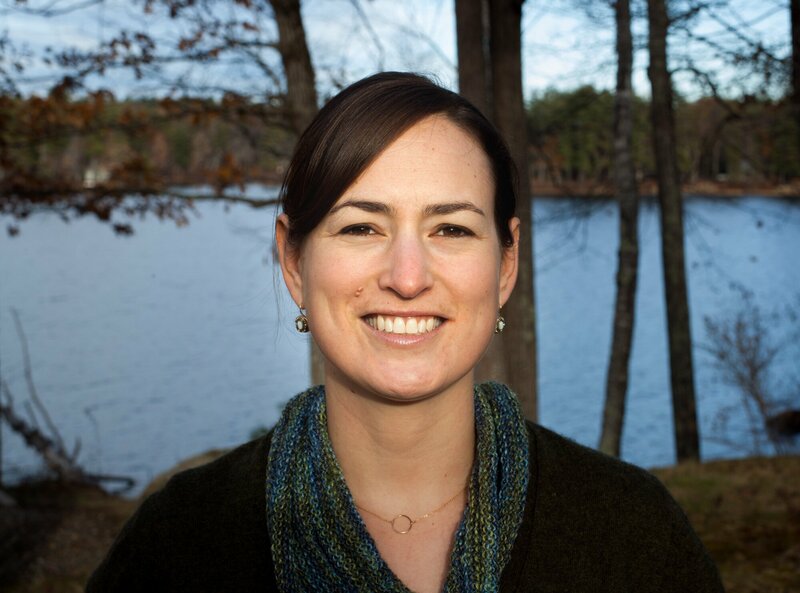 She recently became certified to teach 2 to 12 year old children through Childlight Yoga in Dover, NH. She is currently working on her 500 hour certification through the Summers School of Yin Yoga with Josh Summers. As an elementary school teacher, Heather has been trained to teach 2 to 12 year old students in yoga, and incorporates all aspects of yoga into her daily work. In working with school-age students, she helps them to utilize strength, flexibility, coordination, breathing techniques and body awareness through yoga and mindful meditation. This practice will help to stay more focused, calm their minds, build confidence and help them to learn strategies to manage stress. Positive social-emotional development is crucial to becoming well-adjusted and happy as we grow into adulthood. In May of 2016, I completed my 200 hour yoga teacher training through Boston Yoga School under the direction of Ame Wren and Terry Cockburn. I also completed a 30 hour Yin Yoga training in the spring of 2015, as well as, a 30 hour Yin Yoga Mindfulness training in the spring of 2016. Both trainings were under the guidance of Josh Summers. I am grateful for all the support, knowledge and encouragement that my teachers have shared and look forward to continued growth and learning. Away from my yoga mat, I find joy in creating artwork in a variety of media, spinning yarn, growing vegetables and flowers, and being outdoors as often as possible, running, biking or hiking. I feel fortunate to have lived my entire life in New England, most of it in Maine, where I have access to and find inspiration daily in the rough and rocky land and seascapes, and the ever changing color of life around me. I give credit the yoga practice for rewiring my inner world, in that it has engrained in me strong qualities of patience, compassion, and power. These elements inspire my teaching style in a way that facilitates development and understanding. Freeport Yoga Company has been the home of my yoga sangha since its inception. The assurance I felt practicing this moving form of meditation led me to complete my intensive vinyasa teacher training at Back Bay Yoga school in Boston during the summer of 2013. Since then I have committed to a lifetime of practice and study. I joined Josh Summers in two yin yoga trainings and will continue to learn with Josh and Terry in the upcoming Summer School teacher training over the next few years. I’m an avid climate and social justice activist and hope to marry the concepts of outward and inward spiritual practice in my teaching, my career, and my lifestyle choices. 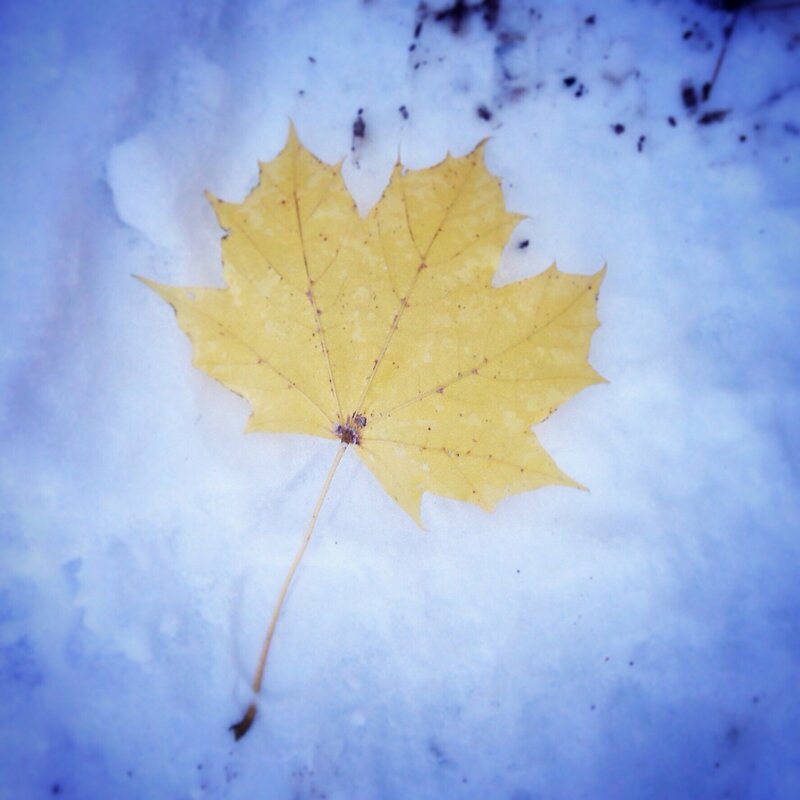 Tena Tyaktena Bhuñjitah ~ renounce and enjoy! exploration of self with others. southern Maine. I look forward to practicing with and learning from the FYC community. For over 40 years, Dd has been a yoga practitioner and teacher. She applies her body of knowledge gained through yoga on and off the mat. Dd strives for balance in daily activities, attentive to mindfulness, gratitude, self-acceptance and compassion. Dd recently moved to Freeport from Portland, where for the past 10 years she showed up regularly for practice on her mat with the Lila community. Dd is a maker, and yoga off the mat includes sewing, painting, writing poetry, reading, gardening, cooking, being outside, travel and family time. Dd’s first teacher was a former Rockette, Callie Tyber. Callie mentored Dd to take over her classes. In 2015, Dd completed a 200-hour yoga teacher training at Kripalu. Later that year, she completed Desiree Rumbaugh’s “Wisdom Warriors” training focused on safe, strong and empowering asana practice for women over 50. In 2016 to facilitate recovery from a herniated disc, she completed a 100-hour Yin Yoga Teacher Training in Canada with Stephanie Calhoun, followed by a 50-hour Ayurveda For Yoga Teacher Training and a 50 hour Yin for Upper Body training. In 2017, she completed Firefly Training in Trauma-Informed Yoga and became involved with Sea Change Yoga to bring the healing power of trauma-informed yoga & meditation to all. Dd combines her knowledge of anatomy, breath, and sensation-based practice to teach yoga that can be practiced for a lifetime and integrated into day life.. Personally, yoga has helped Dd find greater space and flexibility in body and mind, increased patience and self-acceptance, respect for the body as teacher and expanded inner peace. Dd believes yoga is for every body. 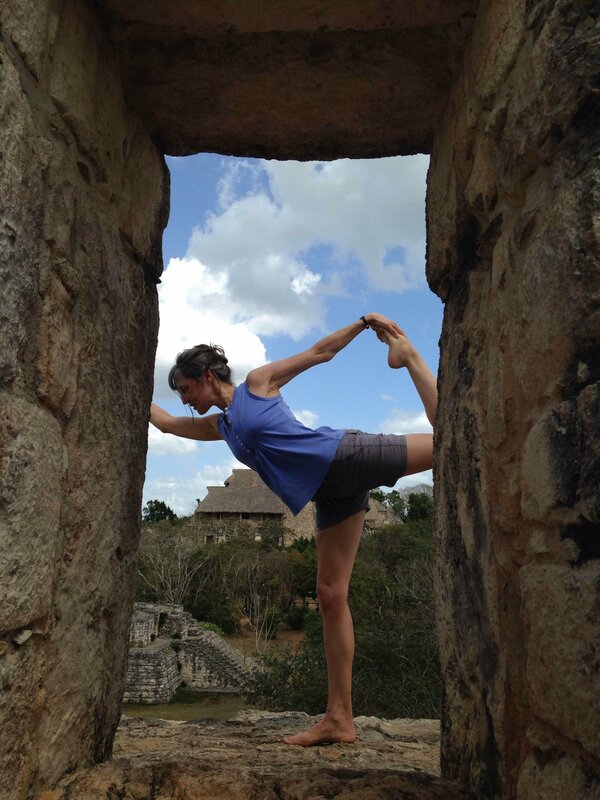 As a yoga guide, she works with you where you are and supports you in identifying your evolving practice goals. Dd is pleased to be part of the Freeport Yoga Community! I started my yoga journey just before graduating from the University of Maine in 2010. As a child and teenager I was a gymnast and the human body always fascinated me. Yoga and body work had always been in the back of my mind so after college it was only natural to go to massage school and yoga teacher training. I completed my massage training in 2014 and my 200 hour yoga teacher training in 2016. A licensed massage therapist and healer at heart, I sepcialize in deep tissue massage, therapeutic massage, Thai yoga massage, reiki and breath work. When I am not teaching yoga you can most likely catch me at my massage office in Portland. I am an avid and life long learner, you never know what sort of training will be up my sleeve next. Born and raised in Maine, I am passionate about the great outdoors, especially hiking with my best downward dogs, Willow and Jack. I believe in a holistic approach to healing and to life in general. In teaching yoga I hope to blend my enthusiasm and strength with my attitude of acceptance and curiosity. My classes will be accessible, grounding, sometimes challenging, refreshing, and always fun. As a yoga instructor I really hope to hold space, show open kindness and have a safe environment for everyone and anyone that comes to their mat in my class. All regular teachers and subs attend classes at Freeport Yoga Company, as it helps to foster our connected community experience. If you would like to teach or sub with us, please come in and try a few different classes first to get a feel for our space, see how the studio operates and learn about our community. We look forward to seeing you in class soon!